Criminal reporter Bailey Weggins is sent on assignment to the idyllic small town of Lake George, NY. After dropping her kids off at school , Shannon Blaine sets out for her morning run, only this time, she doesn’t come back. 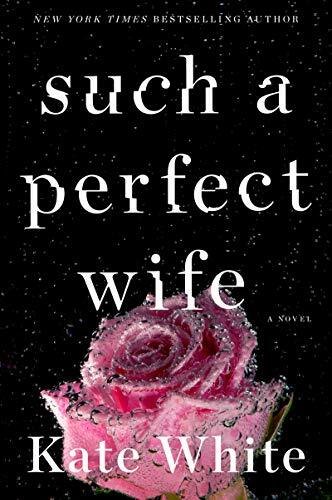 It doesn’t take long for Bailey to compile a short list of possible suspects; her seemingly perfect husband (husbands are ALWAYS a suspect amiright), a bitter older sister, a creepy hotel manager, and a young deacon at the church Shannon recently rejoined. After an anonymous call points Bailey in the direction of the church she stumbles upon the body of not only Shannon, but 2 other unidentified persons. The case gets dangerous, and quickly, for Bailey. Using her reporting and researching skills, as well as pure gut instincts, Bailey is close to unraveling the truth. Can she unmask the killer before he silences her, forever? Y’all…. this was a wild ride! White does an amazing job of laying the ground work (clues and red herrings alike) for an epic mystery; It was well paced and exciting. As with any good mystery there are plenty of interesting and plausible suspects. At various points in the book I was convinced they were each responsible, only to change my mind and go another route (at least half a dozen times!) Baileys profession as a criminal reporter ensures our MC is quick witted and attentive to detail. She is able to think outside the box as any good writer can, and has an uncanny ability to piece together information seemingly unrelated to form a comprehensive picture of the situation. No family is perfect, and Shannon Blaines life and the people in it contain their fair share of secrets. Bailey does not give up until she uncovers them all. I will definitely have to check out more of Kate Whites work, specifically the Bailey Weggins mysteries. I am hooked!